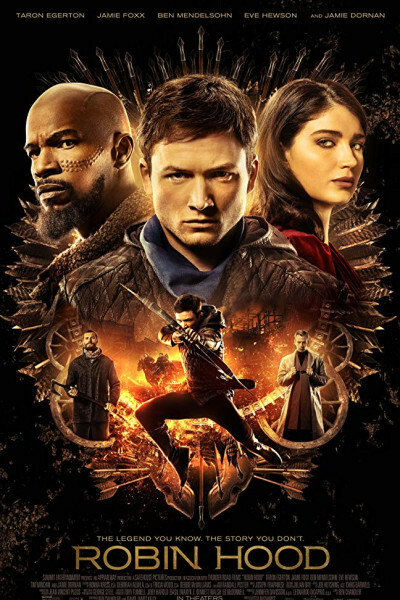 Obviously the world does not need another Robin Hood installment, but the world gets one. And it ain't terrible. They made a couple bold stylistic choices, opting for rather modern garb and contemporary language than period-appropriate. It's not quite 1996's Romeo + Juliet, but it has a similar tone and vibe. And nearly everyone here wears eyeliner, which officially drives me bonkers. I think the trailer portrays it accurately, so you get what you expect. Nothing more, nothing less. If your wish is to see Taron Egerton swinging around in immaculately tailored clothing again, à la, Kingsman, well then, wish granted.